Ever since I can remember, my family has put a significant focus on charity and giving. My brothers and I were taught at a very young age to look at the world around us and help those in need. I come from a family of philanthropists, big and small. This upbringing has set me on the path I lead today. Now more than ever, I feel that it is important to instill empathy in children and to teach them about the importance of looking outside themselves. This learning starts at home, but it certainly doesn’t end there. As children reach school age and head out into the world to discover their place in it, it is vital that parents, along with teachers and other adult role models, give them opportunities to help those in need. Creating space for children to discover their passions, to explore their world, and to stake claim to what personally matters to them, is another important part of the process. 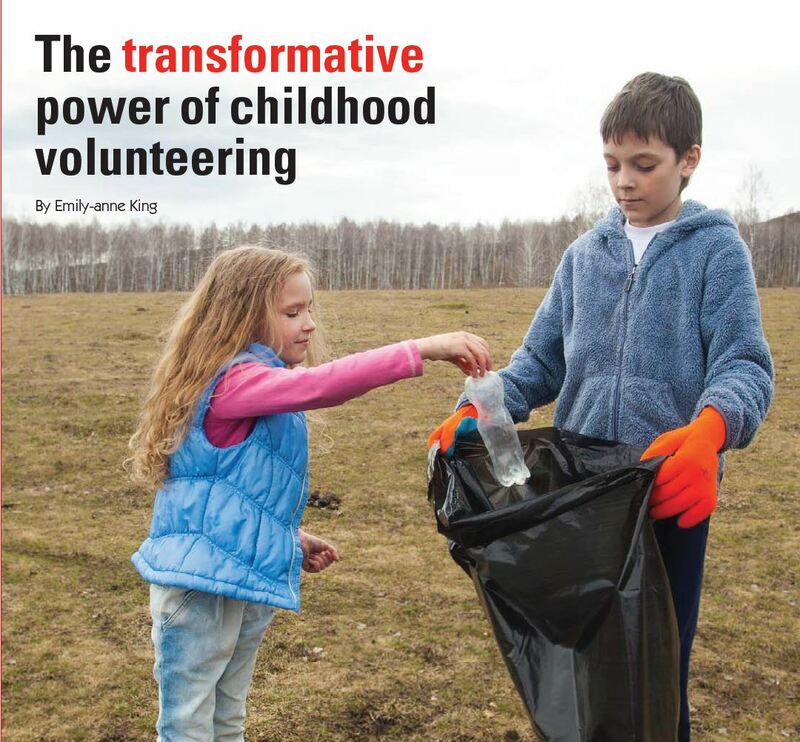 Through volunteerism and connections to causes, children learn early on that giving back is not only the right thing to do but that it brings personal happiness and gratitude – foundations for good mental health. The empathy they gain helps them recognize varying perspectives, communicate their ideas and realize they live in an interconnected world of people from many cultures, backgrounds, and circumstances. Ultimately, their experiences and connections to causes will last a lifetime, creating more understanding, tolerant and compassionate adults. Talk to your kids. What do they care about? What are their interests? They can consider their community, issues or causes directly affecting their friends or family members, or larger issues impacting the world. All forms of volunteerism generate the same benefits, and once they get started they will want to keep going! Fundraise. Hold fundraisers like bake sales, car or dog washes, lemonade stands or a used book sale and give the money to a worthy cause. Become part of a team working to raise funds for a specific cause. Is it animals? The environment? The health and welfare of others? They choose! Volunteer at a local animal shelter. Spend time at a local shelter petting and caring for lonely cats and dogs. Donate food, clothes or other necessary items to those in need. Create seasonal care packages, collect non-perishable food items for the hungry or serve meals at a homeless shelter. Walk to fight disease. Many charities and causes use walks to increase awareness and raise funds. Kids can ask friends and family to donate to their walk. Visit a retirement or assisted living home. Nothing brings more joy to the elderly than a visit with a child. Bring a game or puzzle to play. Adopt a family for the holidays. Connect with a local business, charity or faith group, and then shop for that family. Help a neighbour. Volunteer to rake leaves, do yard work or walk the dog of an elderly, less-mobile neighbour. Be part of community beautification. Help clean up garbage or plant trees and flowers. Reach out to kids in the hospital. Make and deliver gifts and cards, distribute candy, or better yet, bring games and stay and play. Ask your child to be on the lookout for ways they can help and let them know they have your support. When kids are allowed and encouraged to help they learn the power they have to affect change, and doing good, benefits us all. Time to Enlist a Babysitting Circle!